If you want to get business from the 4 billion people worldwide using the internet, then you should be paying attention to Google. Not only do you want your company listed on Google, but you should also have plenty of Google reviews to back it up. Reviews are crucial to earning business from new customers—in fact, 85% of consumers say they trust online reviews just as much as they do personal recommendations from friends. The only problem is you have to invest a little time to get those valuable Google reviews. The good news, however, is that it’s easy! All you have to do is ask. To streamline the process for your customers, we recommend sending customers a direct link to review your business so there’s a minimal margin for confusion. 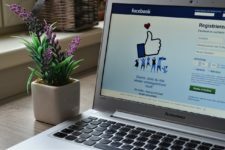 You want to make it as simple as possible for your customers to review your business, so once you learn how to create your review link, we suggest using the Broadly reputation management tool to make sending these Google links an instant and easy process. 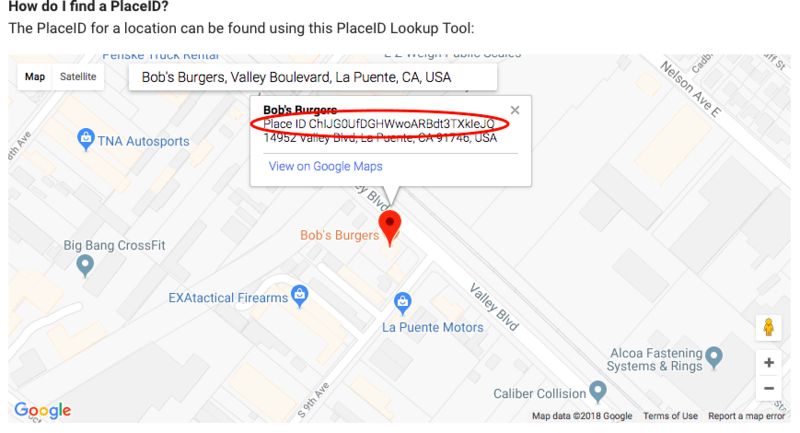 The very first step to creating your unique Google review link for your business is to make sure you are logged into your Google My Business account. From there, you will want to locate your PlaceID. 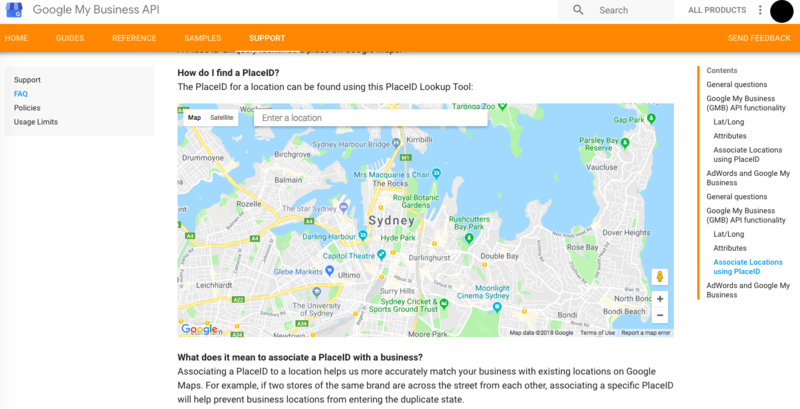 Your PlaceID is basically a unique code that helps identify your business on a map. You’ll need to follow a couple steps to retrieve your code, but after that, you’re pretty much done! 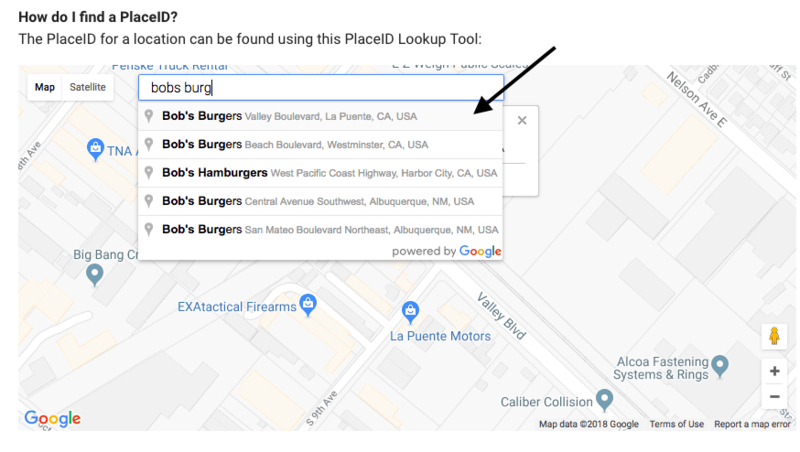 In the search bar at the top of the map that shows up, you’ll see a place to “Enter a location.” This is where you will want to enter your business name. As long as your business is already listed with Google, you should see your business pop up in the drop-down suggestion box as you are typing. So, when your PlaceID is in the URL, it should look something like this, except it’ll be your unique PlaceID and not the one we are using. That’s it! All you have to do is send customers that link using Broadly and they will be taken to a window to directly leave you a review. Having your Google review link ready to send at all times is a big help in receiving more online reviews for your business. But, if you’re hoping to collect even more reviews, we have a few more tips up our sleeve you help you out. 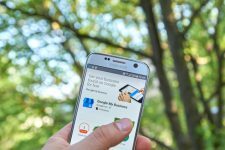 Here are some of our best suggestions for getting more Google reviews for your company. Of course, with all those reviews you’re garnering, there’s bad to be a bad egg or two. Don’t take it personally—it happens to everyone. 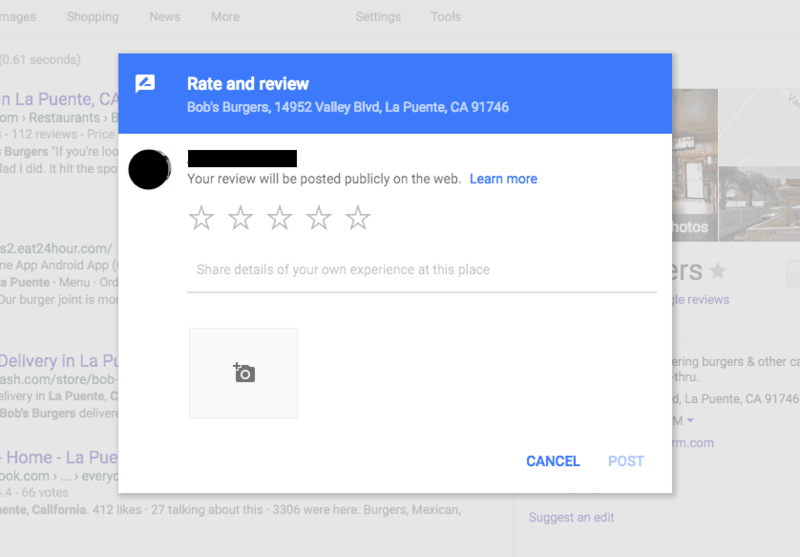 While you can probably recognize most reviewers as past customers, if there is a particularly negative review that seems a little fishy, there is the option to report it to Google. If you need to remove a Google review at any time, follow these steps to report it. There are a lot of ways to boost the amount of Google reviews you have; you just have to put the systems in place, and hopefully, they will do the work for you in the background. (That’s why Broadly is helpful.) Once you create your Google review link, the possibilities are endless for how many reviews you can get! And just wait until those billions of people on the internet come across your glowing client reviews… Cha-ching.